And that could be fun, having a completely different daily routine, being focused on different things, finding new hobbies, etc. But more realistically, we need something that we can incorporate into our already hectic lives that will help us to lose weight and get healthy without breaking the bank and our lifestyle. If we don’t see any results -> we’re discouraged -> and we stop. If holidays come up -> we forget our diet -> and we stop. If it’s too difficult to follow -> we lose track -> and we stop. If life happens -> we’re distracted -> and we stop. See a pattern here? 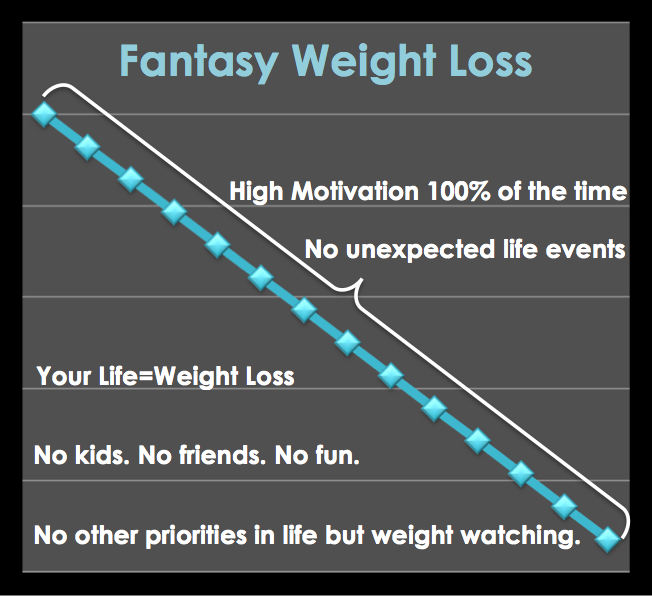 That’s why it’s a good idea to capitalize on the fleeting motivation that you have when you first start your weight loss trek and make the most out of it. 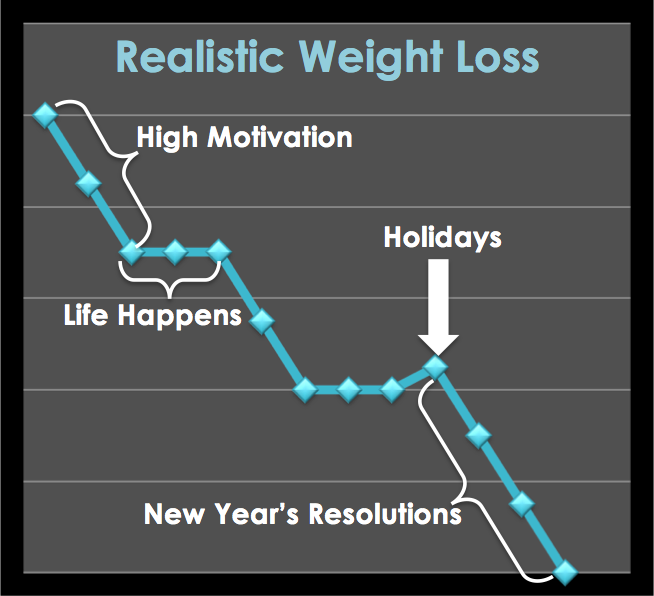 Because although it would be nice, weight loss is not a steady decline in body weight over the course of a year or two. Rather, we see rapid weight loss followed by small drops, plateaus, and even slight increases. And that’s okay, that’s just how life’s routine works. But knowing this pattern of dramatic drops, then plateaus, we should make the most out of the drops and get the most off while we can and while we’re motivated! Let’s check out some rapid weight loss tips, tricks and traps to get us started REALLY losing weight! 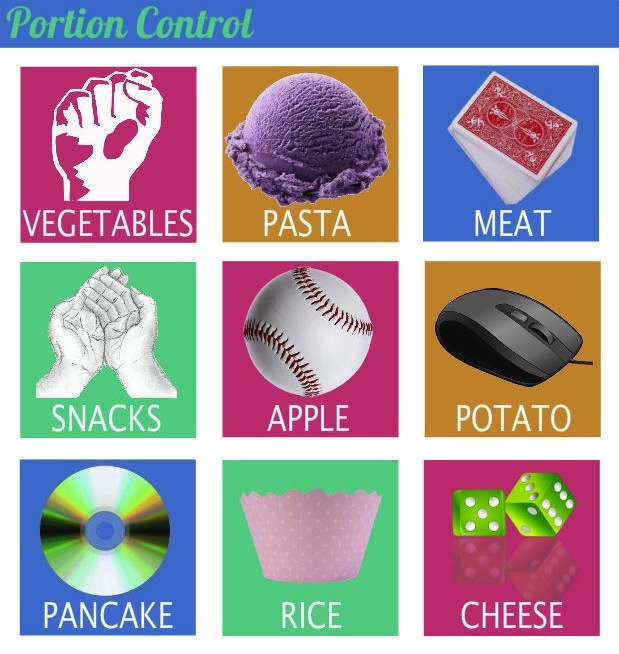 So what are the correct portions of food that we are supposed to eat? 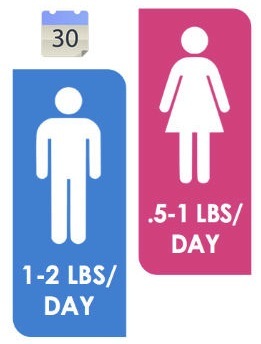 In order to save time and not have to measure everything out, here is a list of helpful visuals from WebMD to better understand correct portions and save time. Snacks such as pretzels and chips are about the size of a cupped handful. Bagel is the size of a hockey puck. Pancake is the size of a compact disc. Steamed rice is the size of a cupcake wrapper. Portion control can be difficult at first because of bad habits and our “idea” of what being full means is flawed as mentioned earlier. In order to be able to lose weight quickly and control a mean appetite, many people use different supplements in order to achieve their weight loss goals quickly. With so many different supplements to choose from it can be overwhelming to try and decide which ones will work best. Here are a few suggestions of supplements that actually work and can help anyone lose weight quickly. HCG or Human Chroionic Gonadotropin, is a natural hormone that has been proven to shed excess body fat. Along with the supplement there are 500, 800, and 1200 calorie diets to follow while taking the supplement which are based on turning excess body fat into available calories. Click here to learn more about HCG rapid weight loss. 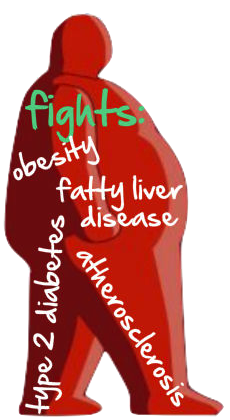 Helps Fight Type 2 Diabetes, Obesity, Atherosclerosis, Non-alcoholic Fatty Liver Disease and Metabolic Syndrome. Green coffee bean are raw or unroasted seeds (beans) of Coffea fruits which have not been processed to reduce a chemical called Chlorogenic acid, yet Chlorogenic acid is crtitical for health benefits and specifically weight loss. 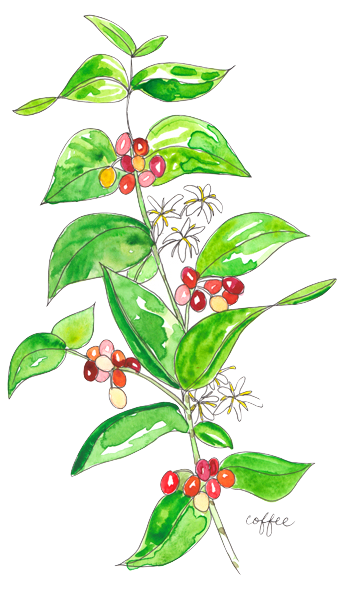 Reduces risk of glycemic disorders, like diabetes, with long-term coffee consumption. Slows absorption of fat from food intake and also activates metabolism of extra fat. The important thing to understand about supplements is that over time the body will adjust and get used to the supplements themselves which decreases the effect of the supplement over time. It is recomended to start one supplement and then after 2 or 3 months begin a different supplement in order to get the most effective results. Loosing weight is a goal that is very common among most people yet one of the most difficult to follow through on and often slow to see results. Using the proper supplements correctly will make achieving weight loss goals much easier.